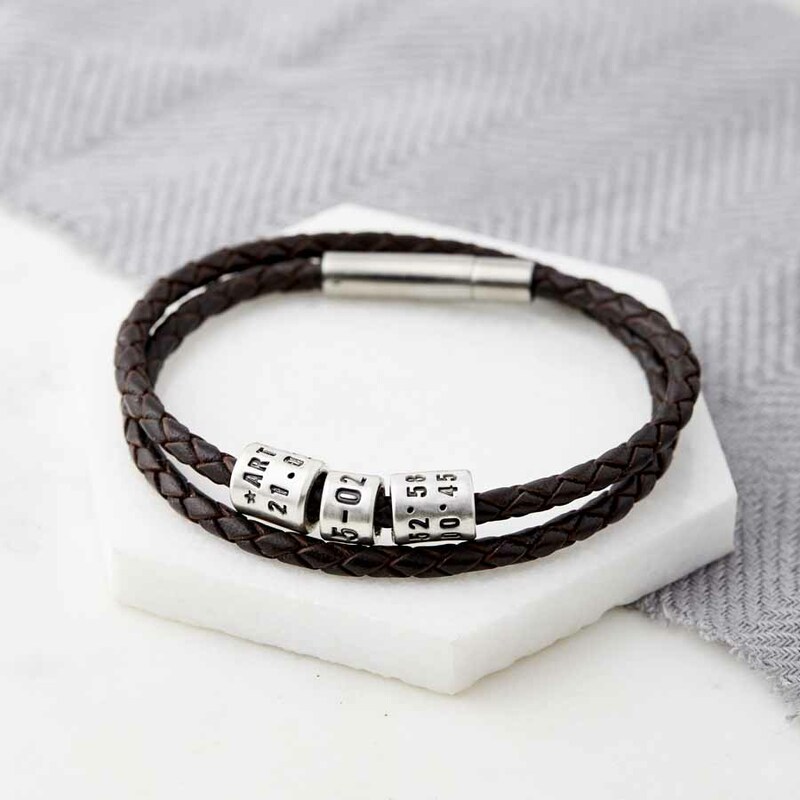 Small discreet, personalised solid silver beads on a high quality leather wrap bracelet. 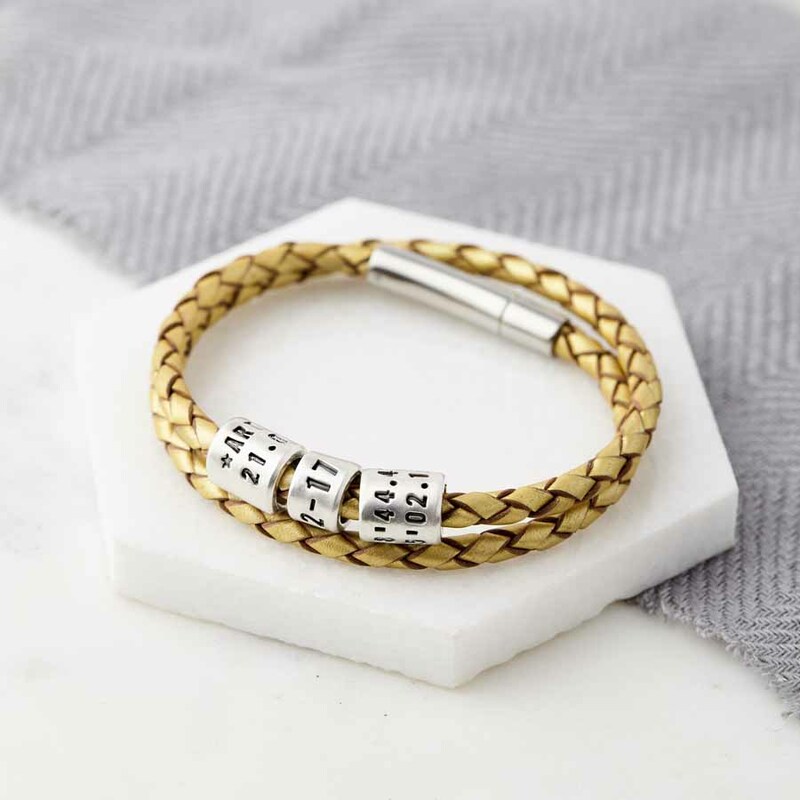 Handmade to order, this bracelet is a wonderful way to remember special memories, dates and locations. This is the perfect gift for a loved one, perhaps for a birthday, anniversary, Father’s Day or a difficult to buy for teenager. The silver bead collection started by you can be added to by the lucky recipient as additional beads can be purchased in the future to add to the bracelet. One wide bead is included in the price, and additional beads can be added to the bracelet using the drop-down menus to the right. We can stamp up to 22 characters over two lines on a wide bead (11 characters per line including spaces and punctuation), or 10 characters on one line on a narrow bead (including spaces and puntucation). All stamping is in upper case for clarity. Please use a ‘/’ to indicate where you would like the text split over the two lines qhen ordering a wide bead. This is a fresh update of our bestselling Storyteller Bracelet – this bracelet has smaller beads and the beads are available in two different widths. All pieces are beautifully gift wrapped in a box. This service is completely free of charge. 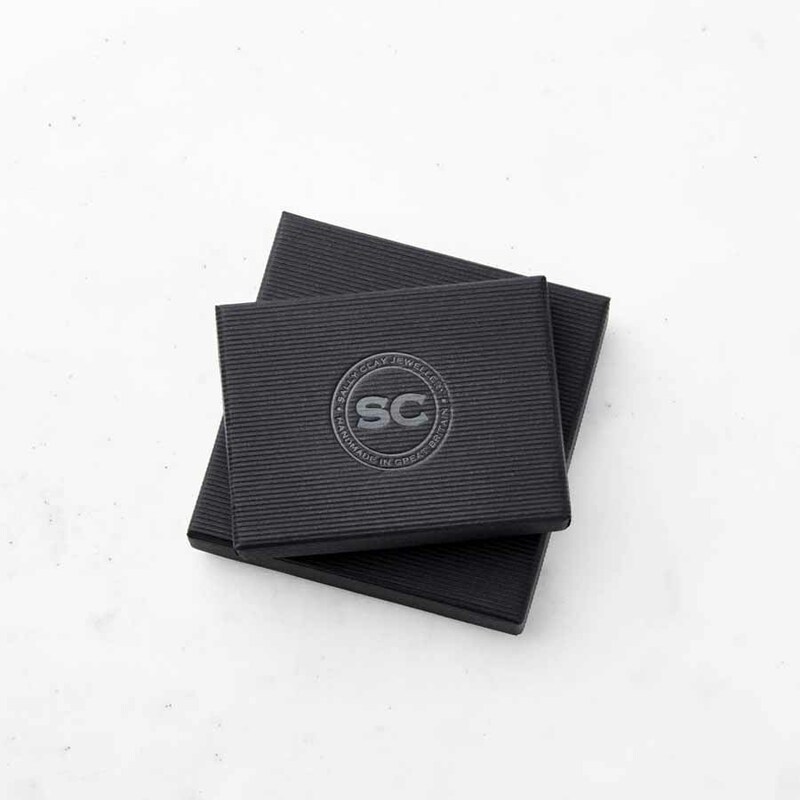 We will happily include a gift message and send directly to the recipient. Please check that you have entered all personalisation, product options and delivery information correctly. We cannot guarantee that any amendments can be made once the order has been placed. If you order a bespoke length cord, this cannot be exchanged for a different size so please measure carefully. The beads are made from fine silver (99.9% pure silver). 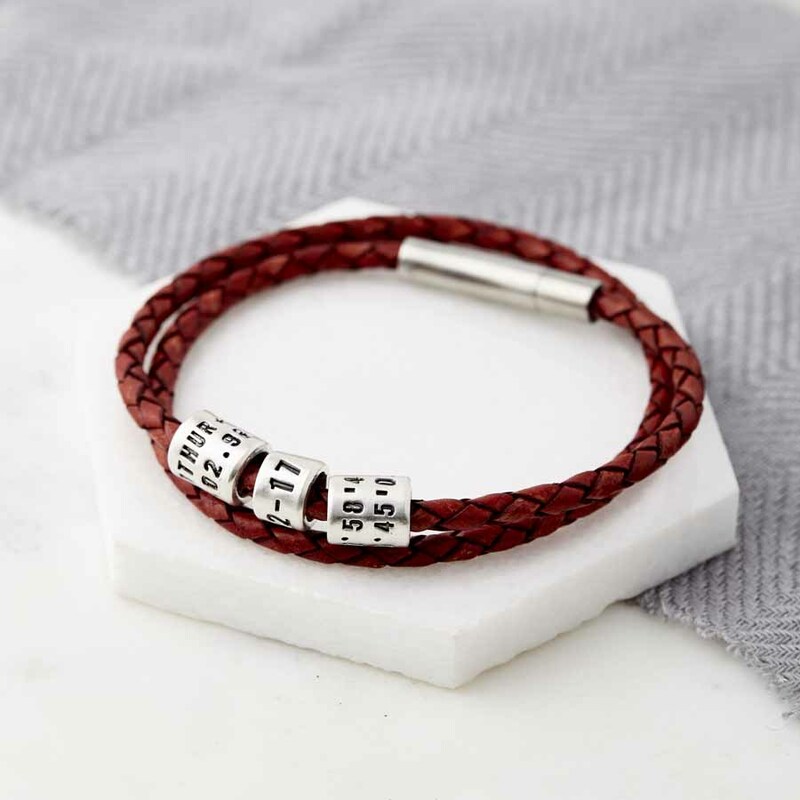 The bracelet is made from high quality European leather cord with a stainless steel safety clasp. 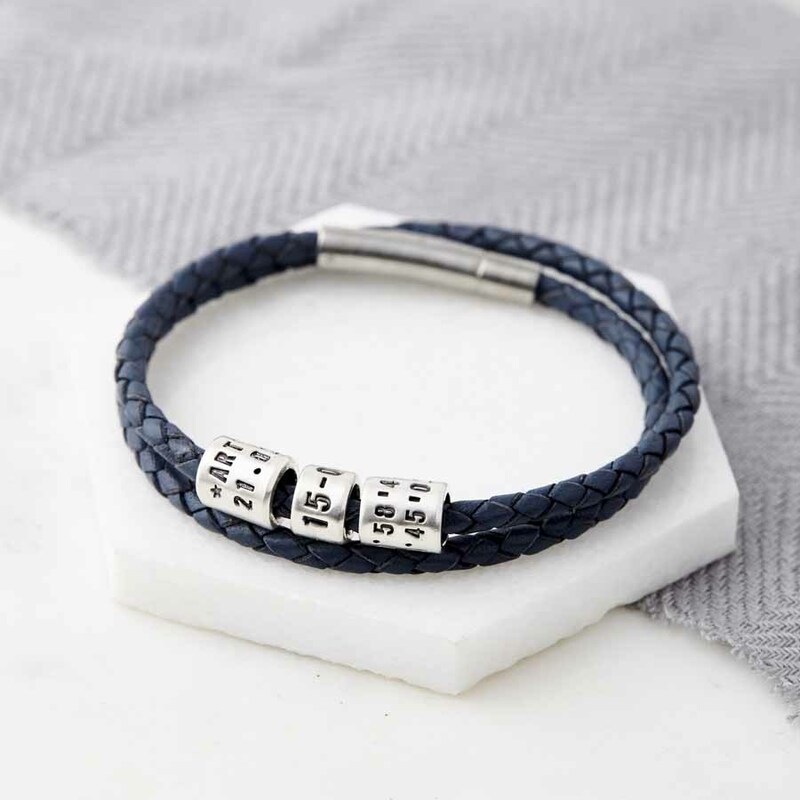 There is a choice of several leather colours for the bracelet and these can be selected by using the menu to the right. 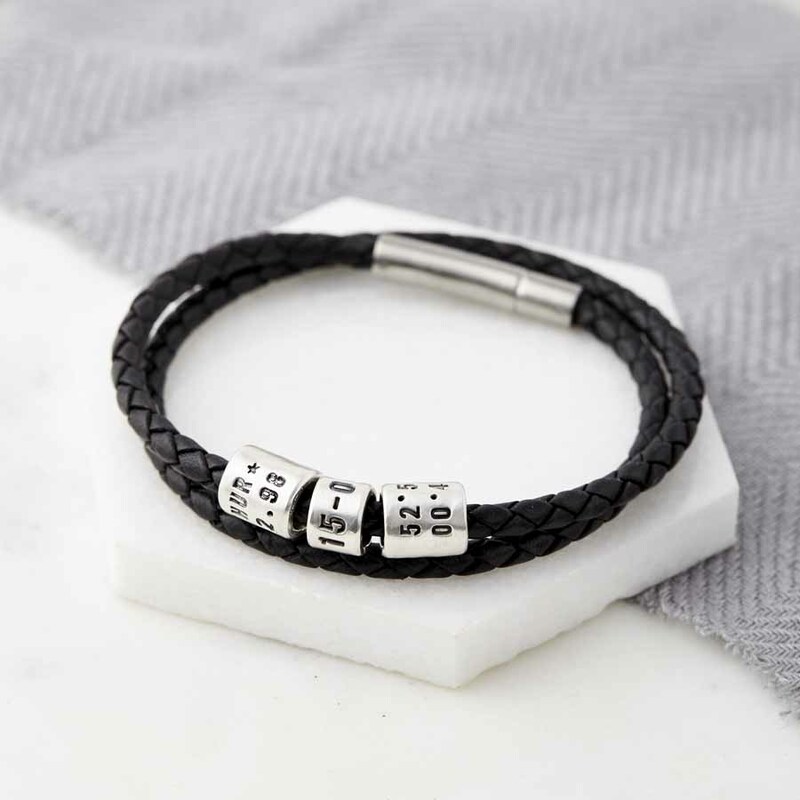 The leather cord bracelet measures 42cm in total (21cm when double wrapped around the wrist). If you require a different length please add this in the drop down menu to the right. The leather cord is approximately 0.4cm thick.